A commission I did for a friend at work. 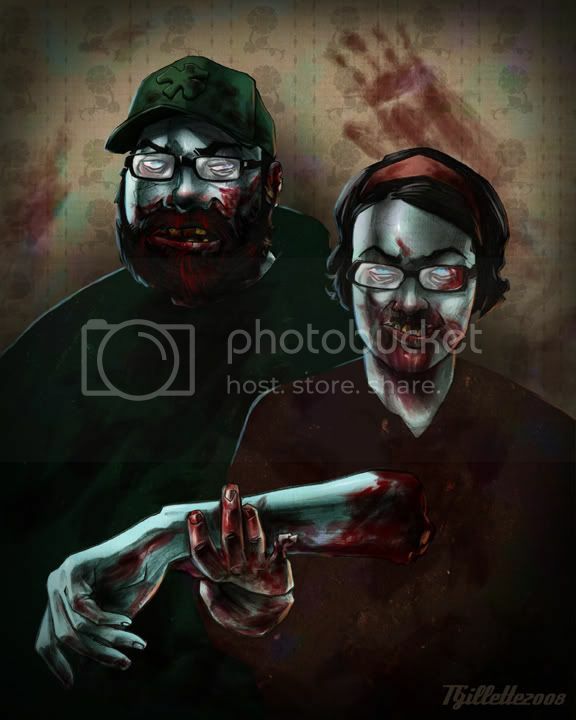 Him & his wife as ZOMBIES!! Tim, you are the rockin'est rock star for getting this so spot on. You KNOW I just got done beating Joel with that arm I'm holding.